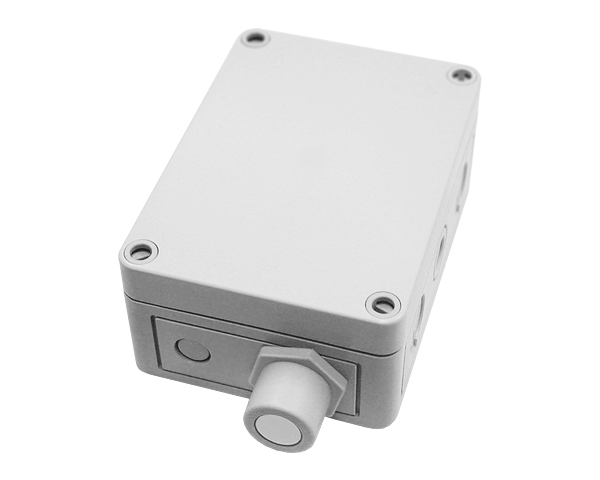 Analog gas sensor with 4-20 mA (2-10 V) output for connection to any compatible electronic analog control, DDC/PLC control or automation system. Compliant with Safety Integrity Level 2 (SIL 2) and rigorous international standard EN 50545-1 for parking garages and tunnels, AT6-Series sensors utilize advanced self-diagnostics and flexible ventilation control functions to ensure maximum human safety without compromising energy efficiency. The AT6 includes a high performance sensing element (electrochemical, infrared or pellistor type), and an amplifier as well as a microprocessor. All important data and measured values of the sensor element are stored fail-safe in the module and transmitted digitally via the local bus to the transmitter. Calibration management is also integrated in the microprocessor of the sensor cartridge. Calibration is done either by simply swapping the sensor cartridge or by using the user friendly, integrated calibration routine directly at the system.